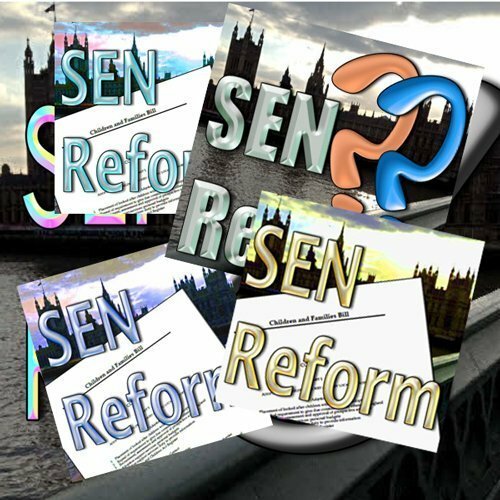 Home SEN Politics Summer’s here: Where are we in the SEN reform process? Summer’s here: Where are we in the SEN reform process? The answer is we're here, there, everywhere and nowhere, depending on which county you live in. As the long summer break approaches (and enjoy it while it lasts as Mr Gove has it under his microscope - though I can think of better places for his microscope) let's take a look at where we're up to. This is an easy exercise, as Ed Timpson, the Minister in charge, who certainly seems to be a very genuine and well-intentioned person, has written today to the Council for Disabled Children with his own round-up of the broad facts. The Children & Families Bill has now completed the House of Commons stages of the Children and Families Bill and has just completed second reading in the House of Lords. Ed Timpson said, "I have very much welcomed the engagement of many sector and parent-carer organisations in the careful scrutiny of the Bill clauses. The debates in the Bill Committee and in the House were rightly challenging but also constructive." The CDC has worked with the DfE and produced a leaflet explaining in more detail the reforms to the SEN funding system. The leaflet explains clearly that the funding changes do not change the legal responsibilities of schools and local authorities for children with special educational needs. The indicative Code of Practice has been published and a full consultation will begin in the autumn. CDC and DfE have been discussing the arrangements for reviewing Education, Health and Care Plans, especially the reports parents and young people receive about annual review meetings and the year 9 transition reviews. As we develop the Code of Practice, it will be important to write it in a way that supports a real improvement in outcomes for those with SEN in schools and colleges in order to meet the Department’s wider aims to improve attainment and close the gap. Ed Timpson MP, Education Minister. The DfE is now thinking more widely about implementing the reforms, and how to manage the changeover to a new legal system from September 2014. It is not proposed to move wholesale to the new system from September next year; rather it will be the beginning of a period of gradual and orderly transition to full implementation. The DfE will be providing £9m in 2013-14 to support local areas to prepare for implementation. The DfE will be publishing more information in early autumn to continue to support implementation. Additionally, not mentioned in the letter, the 20 pathfinder areas have all developed or are still developing their own versions of an EHCP and Local Offer, Personal Budgets, Transition plans and so on. Lots of money spent, lots of work carried out and quite a number of minds changed on both parent and practitioner sides about one another. We do hope that these problems and omissions will be tackled in the autumn as the next parliamentary stages are started, as Mr Timpson says himself, "I am aware that there will still be some areas that you and others in the SEN and disability sector will want to see evolve further as we start the next Parliamentary stages in autumn. lt is very much the right time to raise these points so that we can continue the constructive dialogue between the Department and the sector." We, and we hope, you too, will be continuing to work as much as possible on influencing the bill through the channels that we are part of. It is so important to stress that everyone concerned with the bill has an opportunity to make their voice heard. For parents, this is most likely to be through their local parent-carer forum. For parents who have SEN children,the upcoming consultation of the Code of Practice will be a huge opportunity to have your say. This is where the rules and regulations will be written and if your child doesn't have a statement/EHCP, this is even more important. Read the draft - you don't have to do it in one go, take the whole summer to comb through it and make notes. Your voice may be the one that makes the difference. It's easy to complain when you don't like something, much harder to do something about it so if you are in a position to, do make your voice heard. 40% of respondents in Pathfinder authorities did not know if their area was a pathfinder or not. We need as many parents and carers to be as informed as possible, whether or not they can be or want to be involved. Local authorities, schools, colleges, children's centres need to do a better job of funnelling information through to parents about the reforms and about their local (voluntary and over-stretched) parent-carer forums. There's no space to tell you how to do that, though as an experienced charity PR, I have plenty of ideas. I would hope every Local Authority's Comms Department do too!